Sometimes on road trips, you just do the kitschy things. Sometimes, you just go to the tourist traps along the highway just to say you did. Two co-workers and I spent five days in Des Moines, IA. Our travel day home was Sunday. I really wanted to get back to Kalamazoo by 4 PM so I could go to ice skating with my daughter. I made the other two guys get up at 5:03 AM so we could get on the road. I had to take them back to Grand Rapids which extended my trip….and I wanted to stop for breakfast. 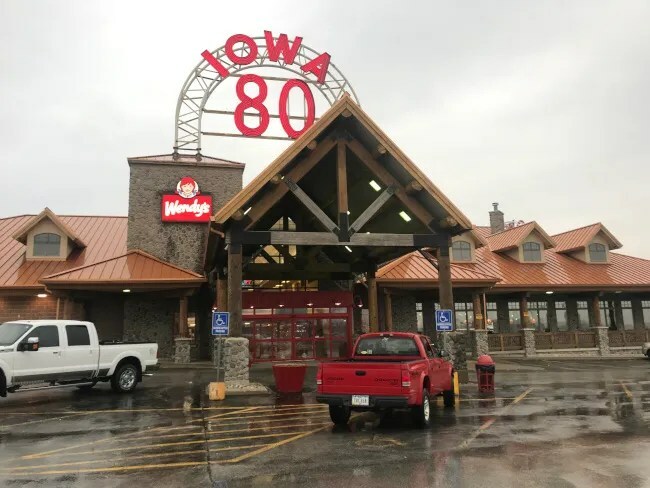 Iowa 80 Kitchen is part of the Iowa 80 Truck Stop on Iowa 80 Road right off Interstate 80 in Walcott, IA at the Plainview Road exit just west of Davenport. You can’t miss the place. It’s huge. They claim to be the World’s Largest Truck Stop. Not sure if they have themselves that title or it’s something official, but it definitely is a rather large truck stop. 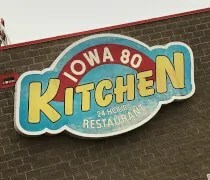 The Iowa 80 Kitchen is near the back of the truck stop. There is an entrance near the side of the truck stop that is a little closer but there is no entrance directly into the restaurant from the outside. It’s not hard to spot though. A neon sign points the way. There were plenty of empty tables and no host stand so we just walked over to a table near the buffet. 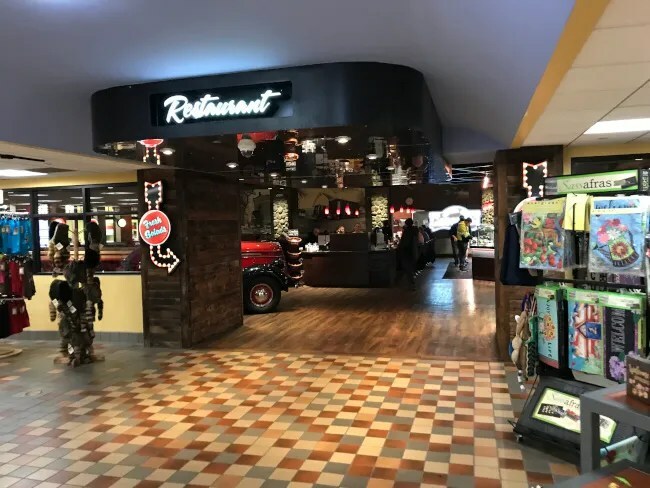 The theme is kind of interesting as they sort of go for a rustic log cabin feel instead of typical greasy spoon truck stop diner. There are large wooden beams holding the ceiling up and the posts are covered in faux stones. The floors are wood and the lights are kept fairly dim to add to that cabin feel. 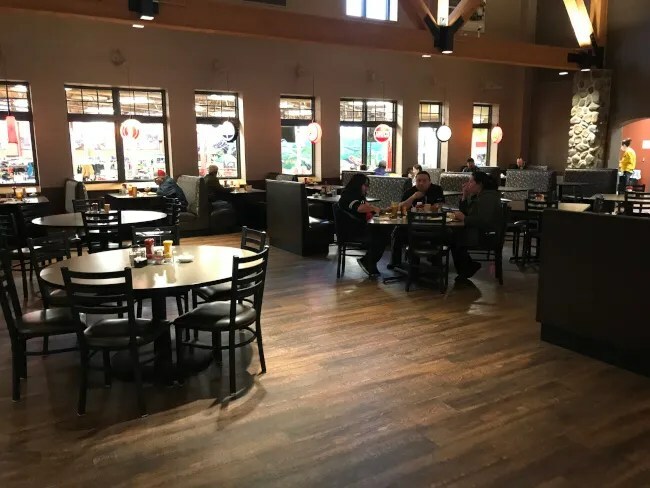 Unlike a typical truck stop, the restaurant feels really clean. They have a breakfast buffet which both of my colleagues went for. It has the typical scrambled eggs, bacon, sausage, pastries, and etc. That never once crossed my mine. 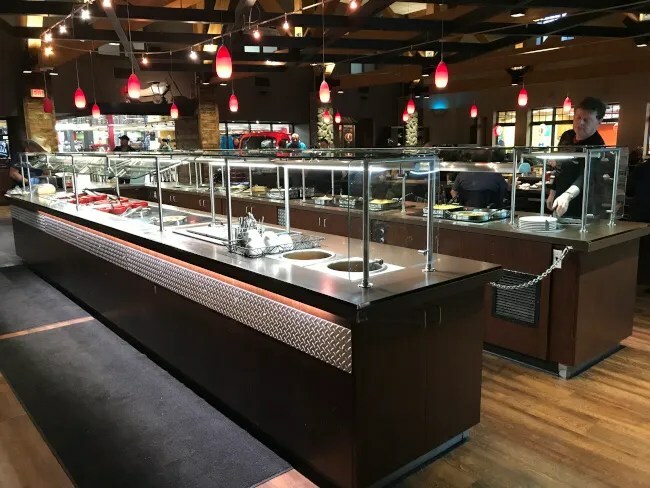 I like my eggs runny and my potatoes crunchy so I typically pass on breakfast buffets…or…honestly, buffet’s in general. I ordered the 8 oz. Sirloin Steak and Eggs. 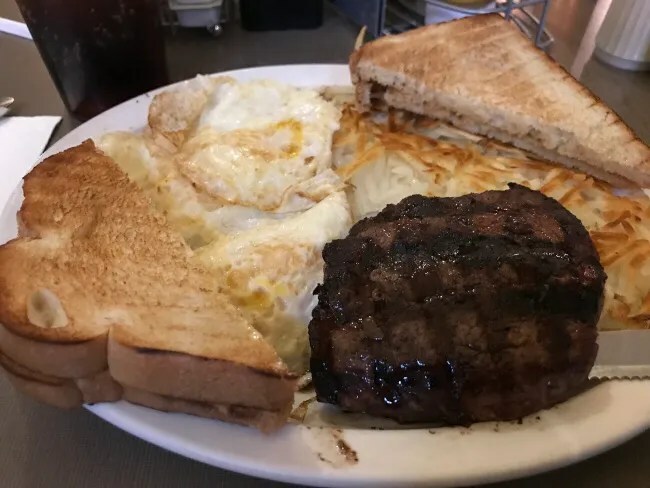 I got the steak medium rare and the eggs medium. The steak is a fairly small medallion of meat with a simple salt and pepper seasoning. The steak was cooked with a nice pink center but there wasn’t a whole lot of extra flavor. The eggs were spot on medium with a nice runny yolk and the hash browns were crispy most of the way through. They were at least nice and crispy on the top and bottom. The bill for my breakfast was just over $18. 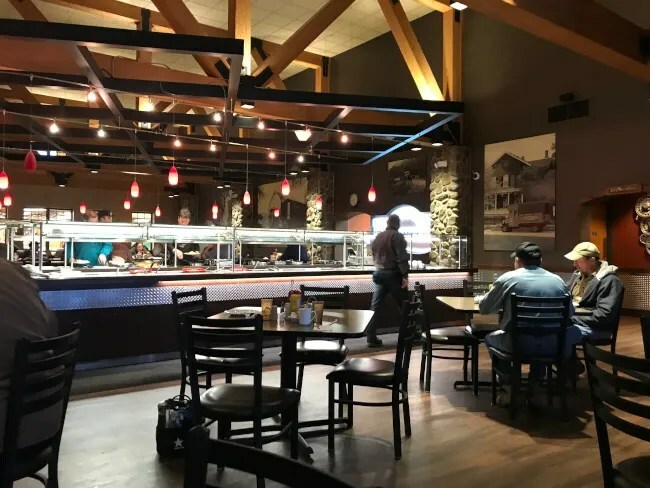 The Iowa 80 Kitchen serves up pretty standard truck stop in an anything but standard truck stop setting. A lot of the appeal for me was just saying we stopped at “The World’s Largest Truck Stop” on both the trip to Des Moines (for gas and a pop) and from Des Moines. So, this wraps up my Iowa trip….but guess what? There’s more….two days after getting home, I took a road trip with another co-worker to Washington DC….I got a bunch of those blog posts qued up.